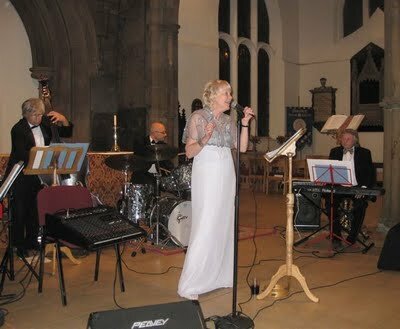 2008 British jazz Award winning singer Val Wiseman has been best known for the last two decades for her stylish performances of Billie Holiday songs in Lady Sings the Blues. On the surface her latest project could not be more different: Keeping the Flame Alive: The Brontë Legacy (BLCD 2009) consists of 16 songs, either settings of words by the Brontë family or, in most cases, Val's own lyrics, all set to music by Brian Dee. 'I feel as strongly about them as I do about Billie Holiday. I've loved their work, I've loved performing in jazz most of my adult life, but I've wanted in some way to turn my musical interests towards the Brontës. Reading their books, reading about them, watching adaptations on film have all given me so much pleasure and I thought, "How can I present this in a musical way?'" Val is at pains to point out that, though she began by seeing this as a jazz project, Keeping the Flame Alive is not a jazz album and - in general terms she's quite correct. The settings are more in keeping with show tunes and many of the lyrics pursue themes beloved of musical theatre: love, friendship, identity, independence. However, with Val at her most accomplished and Brian Dee creating accompaniments of surprising depth for two keyboards (John Hamilton the other), there is much for the jazz lover to enjoy. Wisely there is no artificial Victorianising of the words: every time there is an outbreak of 'thees' and 'thous', it turns out to be an original lyric by Branwell or Anne. It's interesting to speculate how far the songs could exist outside of the Bronte context - one of the best and jazziest, Blanche (with a hint of the late Blossom Dearie) ends with a moment of spoken drama in the character of Jane Eyre - but Val is adamant that they must 'stand on their own' and I think a sizeable proportion can do just that. Val sees the project as musical theatre and hopes it will go much further in terms of theatrical and educational developments. For the moment the stage version (the songs plus Val's linking commentary on the Brontës' lives and works) is scheduled to open a Brontë Festival at Dewsbury Minster on September 25 and Val and Brian are hoping to attract the attention of arts centres and literary festivals, with the possibility, at some time in the future, of building the song cycle into a full-blown musical play. The singing, as might be expected from the Best British Jazz Vocalist 2008, was superb - dramatic and presented with a beautiful flourish. Regretfully, I did not get to see the tribute stage show 'Lady Sings the Blues', in which she portrayed Billie Holiday - but I am certain that the acclaim she received was very well deserved, because she oozes presence. The music composed by the illustrious Brian Dee was excellent, too. He was on one of the two keyboards alongside bass and drums. It was a wonderful climax for Dewsbury's commemoration of the arrival of Patrick Brontë two hundred years ago. It should be experienced elsewhere.